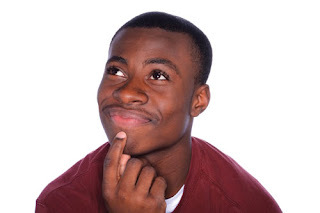 Path to Scholarships®: Who is Eligible to Win a Scholarship? Scholarships are available for ALL students regardless of income level, grade point average, age, or grade level. Students who will not qualify for low-income, need-based scholarships need to begin as early as 9th grade to build a strong foundation that will qualify them for community service, leadership, merit-based, faith-based, and/or athletic scholarships. Scholarships are looking for the well-rounded student who has grades around a “B” average or higher. Scholarships are available for students as young as five (5) years of age based on leadership and community service! Scholarships are available in the U.S.A. for international students. These students will need to follow the proper procedures for applying to the university and for a student visa. Once these are completed all the scholarship processes outlined here can also be applied. Those students starting the main phase who passed are those who deserved. Wish this is fair enough for the others, who didn't. A must read article, thanks. Thank you for your comment. We are glad you enjoyed the article. This is a man who would explain the city to us. The above sentence is enough to express this one. I think such sentences help to positive change in life and this change towards leads successfully. However, I try to get few reviews http://www.essayswritersland.com/ but i and my friends like to follow the above sentences. Thanks for it.